Cute as a Button...Oceanfront 2/2 Condo, King in Master, new hardwoods floors. Cute 2 bedroom, 2 bath, oceanfront condo with balcony overlooking outdoor pool. All bedrooms open to the balcony. 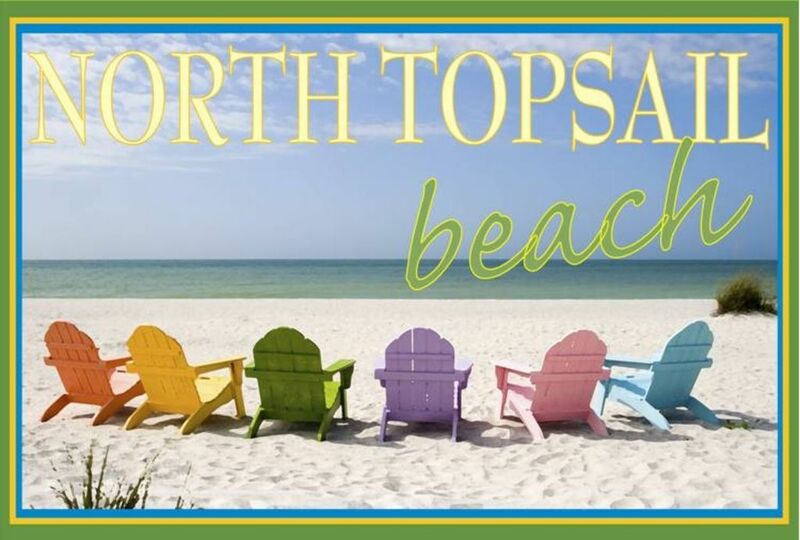 Located on North Topsail Beach at St. Regis. Close to Camp Lejuene. Amenities include clean beach, indoor pool, outdoor pool, hot tub, sauna, tennis courts, playground, basketball goal, tons of parking, elevators, business center, grills, WIFI and restaurants. The interior features two bedrooms all ocean front and walk onto a balcony with chairs overlooking the outdoor pool and ocean. The view in the photo is taken from the balcony. The master bedroom features a king bed and the guest bedroom features (1) queen and (1) twin beds. The sofa in the living room pulls out into a queen sized bed. There are two full baths. The kitchen is fully equipped with cooking equipment, microwave, stove, oven, dishwasher. Kitchen was remodeled in 2010. Unit has a washer and dryer. Hardwood flooring through out the unit in December 2017. Full kitchen, washer, dryer, TV's, DVD, wet bar. I am Kristin Joyner and my husband and I have owned this condo since 2004. I hope to assist you in planning an excellent vacation on the beach. We welcome military families and offer a discount to those who are serving, it is our way of saying thank you! For over 15 years my family has been driving up through Sneads Ferry to take our kids to summer camp. We all love the beach and wanted something on the ocean. When we found St. Regis we loved it! We love looking at the ocean and being over the outdoor pool. When we purchased the unit, a three year remodeling plan was in the works for all of St. Regis. We now have new windows, doors, exterior stucco, new landscaping, pool apron was resurfaced. The place looks beautiful. After our unit opened in 2008, from being closed for a year, we painted the interior and purchased new furniture. We have updated the baths. The kitchen was remodeled in 2010. We have updated to a king mattress in 2017 and installed hardwood flooring and repainted the entire unit in 2017. I have a wonderful friend who can out shop us all. She has "Debbi-fied" our condo. All of the wonderful, cute touches are from her. From the pillows to the artwork and the curtains! . Thank you Debbi!!!! We love the beach and all of the fun it brings. Exploring, walking, playing tennis, swimming and hanging out. The amenities are great at St. Regis including WiFi. Most importantly, our unit is affordable and oceanfront! We have a great view of the beach and ocean from the balcony of our unit. Indoor and outdoor pool onsite. We overlook the outdoor pool. Great location and very nice place! View was beautiful and condo has cozy decor but bed sheets were ripped and bloodstained. They were replaced quickly but new ones were just as threadbare. Towels were also very old and thin. Service really needs to get new ones. Not enough lightbulbs for the lights so switched around so we could use the primary lights. Washer did not agitate so clothes didn’t get cleaned. TV in LR was on one channel and none of remotes worked to correct problem. Owner insisted that washer and LR TV did work and that we weren’t operating them correctly. There was no further attempt to remedy the situation. The resort fitness center was small but well equipped. There was some hurt damage so indoor pool and hot tub closed. We enjoyed our stay at this condo. It was cozy and close to the beach and pool. The condo was appealing. The bedspreads were clean and colorful. However, we had to put on our sheets on arrival and had to ask for them at 7 pm. The bathtubs were not very clean, but it was fine to take a shower. The internet access was not great, which was frustrating. Overall, it was a nice play to stay. I am sorry your sheets were not at the unit prior to occupancy. Sometimes the girls get backed up and they have to make a second trip out. I do have a policy that the sheets are provided and not “on” the beds when you arrive. This is a way that I can control that the sheets are cleaned between stays. The tubs are original and the fiberglass is showing wear. I promise they were clean, they are discolored. Removing them will be difficult, they would have to be cut in half. I have looked into resurfacing- just not sold that it won’t chip off. Glad you had a good stay and overall enjoyed the condo. We have tried very hard to provide a comfortable, cute and clean place to enjoy a vacation. Nice place! Great for our small family! Very nice and great view! Nicely decorated, comfortable, just like being at home. We loved the area as well and the beach was great! Very nice pool as well. Always had a parking spot! VRBO is charging a 9% fee to all bookings.